An Eagle Woman is a woman of BIG vision, who flies higher than most. 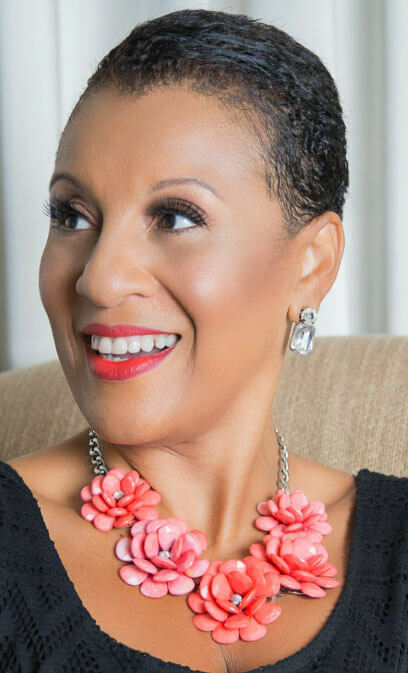 She is the woman that other women come to for coaching, leadership, mentorship, teaching, speaking, consulting, her books and her writings, her wisdom, expertise, influence or knowledge, her Facebook group, and her posts or blogging. Do you desire to journey in a community of like-minded and like-spirited women? Are you ready to elevate, accelerate your manifestation abilities, experience a Quantum Leap in your feminine magnetism and feminine leadership, and in your ability to manifest and discover the S. O. P’s, the Spiritual Operating Principles, that govern the life of a Juicy “Eagle” Woman? Learn what it means to be “highly conductive,” and how to manage your energy in a way that you stay energized and rejuvenated as your norm. Bountiful is a High-Level 12-Week Tele-Course Intensive especially designed for Highly Evolved Black women that desire to become Master Manifesters. Theme: Learn how to become a “Master Manifestress” and Experience 360 Degrees of Fulfillment in your Life. BOUNTIFUL is a space and place especially for YOU. BOUNTIFUL is a 12-week tele-course Intensive for highly evolved Black women….Black “Eagle” Women…..who are flying at higher altitudes than most, and who have BIG visions. It is for the high-level Black woman who wants to create and live a JUICY life. An “Eagle” woman doesn’t want to live an “either/or” life but a life of abundance and fullness, where she “has it all” with ease and grace. She desires to truly, authentically, effortlessly and unapologetically accept, claim and embrace her power, beauty, brilliance, genius and natural feminine leadership. BOUNTIFUL is your “Eagle’s Nest,” — a unique, leading-edge, capacity-increasing, mindset-expanding, SYNERGISTIC, value-rich tele-course that will provide powerful teachings, mentoring, discussion, revelation, elevation and coaching. how to experience 360-degrees of fulfillment in your life, across ALL areas – mind, body, spirit, energy, money, friendships, love relationships, and biz/career. BOUNTIFUL will have a high level of accountability, require a high level of integrity, and will cover a rich breadth and depth of carefully selected topics. In this Tele-Course, I introduce you to a NEW paradigm, the paradigm of the Black “Eagle Woman,” and a Juicy Woman, that departs from what society tells us, from what the culture convinces us, from what our upbringing shows us, and even from what you may see going on around you. I am pulling out the stops and sharing high-level teachings that I haven’t “released” before that reveal the “secrets” to creating and living a lifestyle of joy, deep satisfaction and fulfillment, flow-ductivity, self-expression, adventure, prosperity and JUICINESS. I have been operating and living from a very specific set of S. O. P.s – Spiritual Operating Principles that yield more ease, grace, prosperity and joy in life. I will be introducing you to these SOPs.. There are “9 kinds of time” that I have learned to operate from in my life, and they are essential to creating and living a highly FLOW-ductive and BOUNTIFUL life, of more ease and grace. We will be exploring each of these in the BOUNTIFUL Tele-Course. The presence of EACH is essential to 360 Degrees of Fulfillment in the life of a BOUNTIFUL WOMAN. More fully awaken the Power Within, and MORE! Offered once a year, typically January through March (12 weeks), with a LIVE Cohort Summit in June/July. Contact us if you have any questions about the next upcoming class. Early Bird: 3 installments of $365. Paid in full-discounted rate: $995. Regular Price: 3 installments of $399. During the three months of the course, I began to see what I’d written in my Heart’s Desire Letter unfold and begin to manifest, including generating $25K per month in new income from my real estate business and other businesses. During the Course, my new business receivables inched over the $25K mark!! In addition, I am publishing my first book of poetry in 2017. I got connected to a publisher and have used tools from the Bountiful Course to get clarity about what God has for me to communicate. I will begin a writer’s workshop this month and my first book of poems will be published this year. Also, I just got offered a long-term training and facilitation contract, with total flexibility for me. This adds nearly $4K in new income to my monthly income goals! The Course was like fresh water for my soul. Never have I felt so connected and uplifted by a circle of women who “get me,” and were genuinely invested in my success. By the end of the course, I had doubled my private coaching clients, was very close to hitting my $10K a month mark; there was new order in my home office, and I was doing it all (married with 3 kids) with ease and flow. This course was everything my soul longed for. It is for every woman who is ready for divine expansion in her life! During the 12-Week course, I was able to actualize my goals of bringing my ministry to a broader platform; I’ve co-created a wonderful experience for women called The Upper Room; I am preparing to take God’s message on tour about what it will truly take for African-Americans to heal and “carry out” their world assignment; I have become the newest host on TBN at their KTBW station; and my spiritual advising client schedule is now booked to capacity!! I addition, I have been invited to be a guest speaker at a broad array of events. I have connected with my tribe of Godly women for whom I have been praying to encounter! I am grateful to fly high, as a Bountiful Eagle Woman! The Bountiful Course blessed and transformed every area of my life. During the Course, I came to the realization that I didn’t deem myself worthy of the things I desired. I was able to pinpoint my self-worth issues and see how they stemmed from my parent’s divorce when I was 8-years old. Once I learned how to align my desires and faith with my belief of being worthy. I manifested a pay increase in one week after months of thinking about it. Another powerful lesson I learned was how to flow in my very “full” life with more ease. I made the shift to having a sacred self-caring consciousness, which includes spending daily time in prayer and meditation. The course equipped me with the tools to up-level my mind, body and spirit, and I am eternally grateful to now be a Bountiful Eagle Woman! Before Bountiful, I felt like I was running out of time. I felt pressure to get married and have kids. Now, I have more trust, confidence and clarity, and I am now joyful and calm, knowing that I am the Gift, and grateful for the previous relationships I was in. I can now see how it matured and developed me. Before Bountiful, I was worried about not having enough money. I was able to recently buy a condo and had a large mortgage, however, during the Course, I manifested $18,000 through a raise, a bonus, a tax refund and discovering unused escrow money. I learned how to shift to an abundance mindset! During the Bountiful Course, it became clear to me that I had been shrinking back in certain areas of my life. I have now come to realize that in order to empower and encourage other women, I must continue to let my light shine in order that theirs may shine too! In doing so, I have recommitted to my beauty and image business and am working towards re-establishing my role as a leader. So far, I have attracted new customers, and my sales have doubled. I have up-leveled in both my sacred self-care and how I manage my energy. Instead of spending needless time in worry, over-thinking, insecurity and self-doubt, I now am able to manage difficult situations with grace and ease; listen with a more earnest desire to learn, support, be of service, communicate with greater empathy, a more open heart, and a genuine desire to build bridges instead of walls. I’m more present and available for the people, places and activities that truly matter. I have also up-leveled my behavior with money. Instead of constantly being in fear of it, I invested in learning how to create and maintain true “financial peace.” I am now paying bills on time, saving a respectable amount each month in a high-yield money market account, paying of my credit card debt by October 2017, and paying off both my graduate and undergraduate student loan debt by July 2018. I am a healed and more self-expressed Eagle Woman, ascending into my very best self! This 12-Week Bountiful experience was EPIC. Being in the company of other Eagle Women has been inspiring, confirming and activating. This course helped me to see the value in not just saying NO to others, but YES to myself!